When it comes to the home improvement industry, they are big on showrooms. There are showrooms for kitchens. For bathrooms. For flooring. There are even showrooms for fireplaces. The big box stores even devote major portions of their boxes to home improvement showrooms. All of these are designed so that homeowners can come in and “ooh and aah” over the products, then have them professionally installed. In the water systems industry, we don’t do much “showrooming.” A water system doesn’t have the same pizzazz as a new kitchen or bathroom. You’ll never to hear a homeowner “ooh and aah” over a 1/2 horsepower 10 gallon per minute submersible pump that will disappear down a hole. Nevertheless, maybe we should “showroom” more than we do, at least on a small scale. 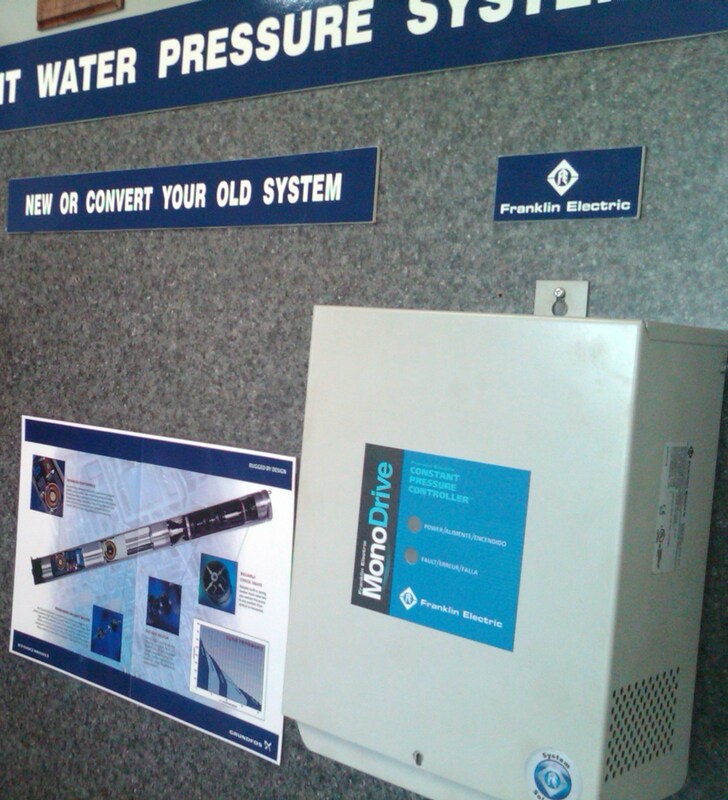 Believe it or not, I’ve seen water systems showrooms directed at homeowners. Not quite like what you find on the kitchen and bath side of things, but showrooms nevertheless. There are two that stick in my mind. One was in Canada. This water systems contractor’s location was in a busy part of town. Very nice facility, with a prominent sign. From what they told me, a significant amount of their business was simply homeowners stopping by when they had an issue with their water system. And, once inside, homeowners were shown a professional-looking constant pressure system display that explained the differences between a conventional and a variable speed water system. They said that most of their constant pressure systems sales came from that display. It had paid for itself hundreds of times over. Those two locations are unique, and I’ve been to plenty of contractors’ shops in highly rural areas where the greatest showroom in the world wouldn’t generate any traffic. But, depending on your location and other factors, having a “mini-showroom” just might make sense for your business. Don’t dismiss it out of hand. Your customers may not “ohh and aah” over your pump display, but you’ll get the sale. This entry was posted in Business Tip by markreeder. Bookmark the permalink. The first stay at best commercial loans ideas. first getting your company off of the ground. gift certificate. Your next step is driving traffic to your site. day a week to do this, then try and get financing for your guitar tuners. So, save your money and time. Additionally, if you are just a few of the positive things about starting a business. be. If there are a numberof professions you can start.